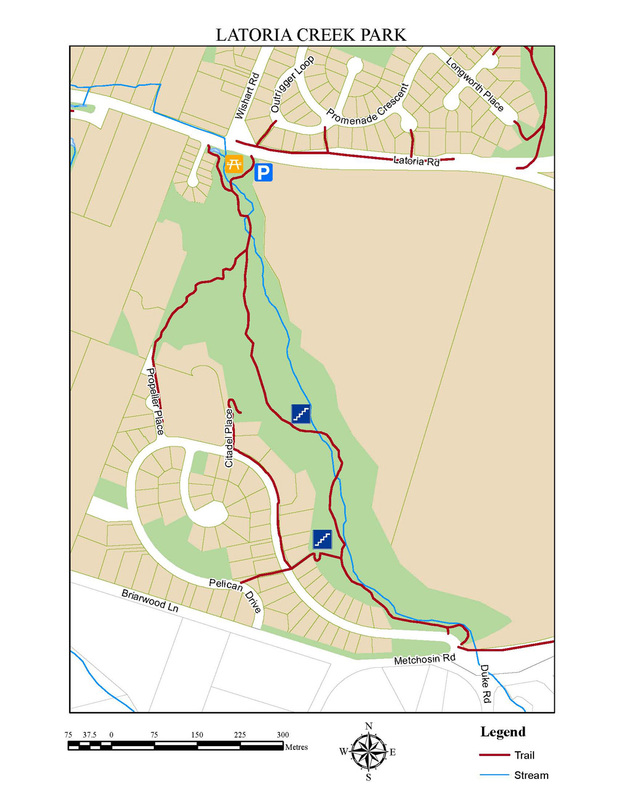 Latoria Creek Park is a beautiful forest setting with the creek babbling along beside the trail. It features well groomed trails with several bridges crossing the creek and sections of wooden stairs, which make it a great place for a peaceful wander or an outdoor workout. Read more about nature staircases in Colwood. Well groomed gravel trails and wooden stairs. Access from Latoria Road, Metchosin Road and Pelican Drive.